On January 23, 2019 Future Ready Schools® (FRS) held a webinar that is part the ongoing professional learning opportunities for school and district leaders. In this webinar, Jerry Almendarez and Dr Kim Buryanek, discussed their participation in the Future Ready Schools Digital Equity Program and their efforts to use technology to address inequities among their district’s underperforming students. Colton Joint Unified leveraged in-person video conferencing to increase opportunities for high school students to access advanced placement courses. Sioux City Schools created a personalized professional learning program for teachers in the district that increased their knowledge and skills in implementing technology-enhanced curriculum in the classroom. Both panelists’ unique approach to planning and implementing Future Ready initiatives provide two important examples of making equity a priority. lessons learned from their digital equity efforts and plans for the future. Dr. Avril Goggans: Good afternoon, everyone. I’m very excited to be with you all for today’s webinar, titled, “Making Equity A Priority: Lessons Learned in Planning and Implementing First Lens Learning for All Students.” During this session, I’ll provide a brief background on the future-ready schools digital equity program, and spend the rest of our time learning from two future-ready district leaders, who participated in the program, and are featured in our upcoming case studies: Dr. Kim Buryanek from Sioux City Community School Districts in Iowa, and Jerry Almendarez from Colton Joint Unified School District in California will share their unique approaches to addressing equity using technology. Before we get started, I have a couple of housekeeping items. For those of you who have questions and comments, we encourage you to post those on Twitter using “#FutureReady.” Please send us your questions as you go through and watch this webinar, as we’ll be excited to respond and engage you in conversation on this very important topic. So, let’s get started. I am Dr. Avril Smart Goggans, research and engagement manager for future-ready schools at the Alliance for Excellent Education in Washington DC. 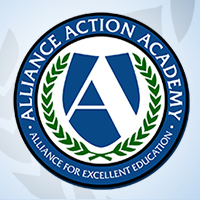 The Alliance is a national policy practice and advocacy organization dedicated to ensuring that all students, particularly those underperforming and those traditionally underserved, graduate from high school ready for success in college, in work, in citizenship. Future-Ready Schools is a program dedicated to increasing the capacity of district and school leaders that effectively implement personalized learning at the school and district level. For a Future-Ready leader, digital equity means ensuring that every student, regardless of their socioeconomic status, language, race, or any other attribute historically associated with inequities, has what they need to take full advantage of the information, resources, and learning opportunities that advanced technologies can provide. 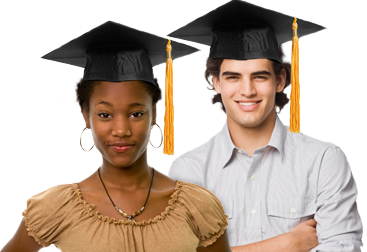 Research tells us that school and district leaders continue to face greater demands to prepare their students for a technologically advanced, globally competitive future, yet many of those leaders, especially that serve high percentages of underperforming students, students of color and those in rural or impoverished districts, in terms of resources or capacity to adequately prepare their students for success. Given that challenge, and the need for more targeted professional development among educators in high needs districts, Future-Ready Schools, led by the Alliance for Excellent Education, partnered with AT&T’s Aspire Initiative to create the Future-Ready School’s digital equity program. The main focus of the program was to support Future-Ready districts in articulating inequities their students face, and identify the tools and resources necessary to plan and implement initiatives to address them. The program hosted 12 districts, representing nine different states in 264 public schools across the country. During the five month pilot lasting from February to June 2018, districts worked together to define the equity challenges that they faced and design solutions that they felt would best address the needs of their students. Districts in the sample represented a population of students that were over 60 percent eligible for free and reduced price lunch, and their number of schools served ranged from 3 to 54. At the kickoff event in Washington DC at the AT&T forum, the districts agreed that digital equity meant more than providing students with access to the technology they needed in the classroom. They concluded that equity also included ensuring that all students could take advantage of the learning opportunities that technology can provide in a personalized learning environment. The main focus of the digital equity program was to create a strong network of district leaders, representing high needs schools throughout the country, and ensure that they work together to share resources, capture best practices, and identify additional support that align with their need. Districts in the program identified specific challenges among their underserved students, and developed Future-Ready action plans that would focus on leveraging technology to achieve greater equity. The program also supported Future-Ready schools as a national initiative, in our ability to identify pervasive digital equity challenges among high needs districts, and find more ways to sale those best practices across the network of Future-Ready districts. Through the five month program, that motivation districts experienced at our kickoff event to embrace equity as a focus was encouraged through face to face and virtual support focused on critical issues related to planning, leveraging data, and making strategic leadership decisions to implement their initiative. Each district participated in virtual meetings each month, focused on the use of the Future-Ready dashboard, the role of data for strategic planning, identifying specific leverage points for implementation, and understanding what national progress has been made concerning equity and digital learning in education. Districts were encouraged to redefine equity based on their own context, and address each challenge based on their particular leverage points. Some teams made plans to implement district-wide needs assessments that measured the gaps in opportunity, prior to launching their new digital device initiative, while others were further along in their tech integration, and explored new approaches to professional learning for both teachers and administrators that would increase their capacity to leverage technology in the classroom. A focus on community engagement was also another important challenge that districts wanted to address as many of them created goals to launch additional digital citizenship training programs, specifically for parents and caregivers on device use. As participating districts continued to plan and implement their initiatives after the program, they leveraged tools like the interactive planning dashboard, the Future-Ready school regional institutes and webinars like this one, to increase their capacity to support students that were most in need. I’m so excited today to be joined by two district leaders who took full advantage of the program, and created digital equity solutions that are proving to be very effective in reversing the inequities affecting students. Let’s start by learning about Sioux City Community school districts in Iowa with Dr. Kim Buryanek. Kim Buryanek: It’s a pleasure and an honor to join you on the webinar today. I am Dr. Kim Buryanek, the associate superintendent for the Sioux City Community School District. Sioux City is located in Northwest Iowa. We’re right on the border of South Dakota and Nebraska. We are the fourth largest school district in the state of Iowa, which we qualify as an urban school district, and have some urban school characteristics. We have three comprehensive high schools, three middle schools, 14 elementary schools, and a citywide preschool program. We have over 1,000 teachers, over 14,600 students, and we are a minority-majority district. This happened for the first time last year. Sixty-three percent of our students qualify for free and reduced lunch. Eighteen percent of our students are English language learners, and we’re proud of our graduation rate at 87.5 percent. And when we started talking about the equity challenges that we face in our district, and this was, like Avril was talking about, really focused on this conversation when we were in Washington DC, and invited to be a part of the digital equity pilot program. We felt good about our density of devices. We have all of our students in grades 6 through 12 have a laptop, and our elementary students have a 1:2 student to device ratio. And also, our infrastructure is quite robust. Students have access when they’re in our buildings to WiFi, and don’t have any difficulty to having access. But we began the conversation when we were at Washington DC about when they leave our building, and just what that means, and what type of access do they have when they leave our building. Currently, we’re looking at opening our buildings, especially the elementary buildings, because there’s more of them, and they’re located in neighborhoods across the city. And we’re looking at opening the buildings to allow access to students and families outside of the school day, especially in those high poverty neighborhoods. We’re also looking at providing hot spots within neighborhoods that have a clubhouse or a certain location that people gather at. We have a number of trailer courts and there’s a central location within the trailer courts. We’re going to provide hotspots in those locations for students and families to access when they’re outside of school. It’ll just allow them to study, to learn, when they’re outside of school, just like students that have that access in their homes have the ability to do. Also, we’re partnering with businesses in our community, and they’re going to publicize, and we’re going to publicize for them that they are welcoming students to be at their locations and access their WiFi networks outside of school hours. But the primary thing that we really wanted to focus on when you talk about the equity challenges is achievement. We have some significant achievement gaps, especially between free and reduced lunch students and those that don’t qualify, our special education and non-special education subgroups have a significant gap. We also see a large achievement gap between our Native American students and white students, black and African-American students, and white students, and Hispanic students and white students. We also see the BLO population is not performing as high as we want them to, as compared to non-ELL students. So, when we think about our equity challenge, it really does center around achievement, and we’re working really hard within our district to reduce the variance, not only across classrooms within buildings, but across buildings across the school district. And we’ve spent a lot of time on professional development for administrators, as well as teachers, to try to reduce those gaps, and to become more alike rather than different, just to ensure that students, no matter where they’re at, are receiving the same high quality education. My hope is that when a student comes back after they’ve been to college or a career field that they come ____ Mrs. Jones for a teacher. And I want students to be able to come back to us and say, “I’m really successful in my next stage in my life, because I was lucky, and attended Sioux City Public Schools.” And it shouldn’t matter which building they attended or which teacher that they had while they were there. Our focus on our achievement, what we’ve designed and begun to implement, we’re actually just going to launch in January, our third year of our Future-Ready cohort, professional development opportunity, and so, we’re really excited about that, and I’m gonna tell you a little bit more about that. Our Future-Ready cohort, this is a competitive application for teams of teachers from the same building, that they can come together during the summer and work to revise and develop lessons that are aligned to students, and that’s really the root of it, is we’re organizing all of this work around standards, but then we want to include the four Cs and higher level components of the Sandler model. So, we spent time with these teacher teams after they apply and are selected to join us during the summer. We spend a lot of time talking to them about what does Future-Ready look like for students. What should a classroom in our district look like to meet the needs of our students? And we’ve been really fortunate in partnering with some of our thought leaders around this have been George Curos, Eric Schimminger, and Tom Murray. And they really led those conversations for us, so after we talk about what it should look like, then we spend a lot of time unwrapping the standards, and then we start talking about how can technology, we learn about the four Cs, the Sandler model, and then we talk about how the tools or technology tools can support this work. After they’ve already rooted their lessons in the standards, and just good instruction, and then we put that back on top, put the tools on top of that. So, we are just like I said, launching our third year of our program. We have had 66 teachers that have been involved so far, and if you remember, I said we have 1,000 teachers in our district, so it’s really gonna take us a long time at this rate to impact every single classroom. And that is a concern, and a hurdle, and so the leadership team for the Future-Ready cohort, we’ve been wrestling with how do we scale this up? But we’re a really small team and how do we support that is the main thing that we have to wrestle with. So, what we’ve done is this third year is we are talking about having a mentoring program, so that more teachers can be supported by other teachers, as we work to become Future-Ready across our whole school district. So, what that looks is that I have Future-Ready teams from the first summer, and some of them came again in the second summer, while we brought on new teams that second year. And the team 2 teams that have been with us for two years, if they want to, they will be joining us for a third summer. But then we are going to bring whole grade level teams from other buildings to join them and work with them and replicate the work that they’ve built out during their first and second years during the Future-Ready cohort. This mentoring component is really gonna aim to allow us to scale up the great work that’s been occurring across our district. So, I said earlier that we have 66 teachers that have been impacted, but we do have 11 buildings, and so we’re over half of our school buildings have a Future-Ready team in the building, and our hope is also that those teams within the buildings will begin to share and it will be just naturally just spread out from there, as well, without having our direct influence and monitoring happening, as well. So, that’s a real quick summary of what we’ve been working on with professional development. We’ve really recognized that professional development was our key in trying to close that achievement gap that we’ve seen. And so, our lessons that we’ve learned, though, along the way, I feel is important to share with you, as well. So, we just started small, and started building it out, step by step, and we’re not going to stop until we’ve had an impact that we hope to have. And so, we’re gonna just continue to roll this out, step by step. And also, my leadership team for this project is quite small, so we’re really cognizant of not building it too big, because the teachers that are involved in this need a lot of support, and we need to be able to provide that support to them, as they’re engaged in this second order change. And the students really, this is a big change for students and parents, as well, so we need to be able to respond to them, also. Also, put the students first. It’s really important. We need to really be focused on what their needs are, and when that happens, just good things happen. We also recognize that leadership is critically important. The building principal has been involved. We’ve insisted that the building principal be involved in the training and they’re involved in the process. They are actually a member of the competitive application, where the building principal has to sign off on that, and agree to be a participant from the beginning stages of this initiative, because it’s just won’t be sustained, or it won’t grow through building without that building principal endorsing it and knowing what is happening. Also, we focus on quality instruction, not the technology or the tools. There’s some when they come in at first, it’s about the tools and the stuff and what can we get, and the cool stuff. But when they realize that it’s really about quality instruction, it’s transformational. So, you have to really loop the instruction and the concepts and skills included in our standards. So, we talk about that before we even start looking any of the tools or products that will support the instruction in the classroom. And I think it’s also really important to be able to stand back and watch the amazing things that can happen when teachers are empowered, and students are engaged, and it’s transforming instruction in our classrooms across this district, and it’s been a great opportunity and I would welcome any additional conversations about it. And if anybody would like to visit with us, we’d love to talk more about it. Dr. Avril Goggans: Thank you so much, Kim, and honestly, I have to say that it is beautiful watching teachers be empowered. I had the pleasure of visiting Sioux City Community School Districts this summer, and participating in the Future-Ready cohort, and it was really great to see those teachers engaging with each other to solve common problems and leveraging technology for instruction, so that was great, and thank you so much. We’ll have plenty of follow-up questions for you in just a second. Before we do that, I wanna introduce Jerry Almendarez, who’s the superintendent of Colton Joint Unified School District. Jerry, I’ll let you introduce yourself, and tell us a little bit about Colton. Jerry Almendarez: My name is Jerry Almendarez, and I’m the superintendent of Colton Joint Unified School District. We’re a school district that serves three municipalities of cities of Colton, Grand Terrace, and an unincorporated area of Bloomington, California. Portions of cities or Reyalto, San Bernardino, Loma Linda, and Fontana. So, we have quite a challenge on our hands to meet the needs of a variety of different stupid populations. We’re about 23,000 students, 27 schools including 18 elementaries, 4 middle schools, 3 comprehensive high schools, and 2 alternate ed schools. Our population, as you can see on the screen there is 83 percent Hispanic, 7 percent white, 6 percent African-American, and 3 percent Asian. Eighty-one social-economically disadvantaged students, and about 25 percent are English learners. And so, some of the initial steps that we took when we were at the kickoff in Washington DC was just the privilege of having conversations or having the ability to have conversations with colleagues from all over the country. And the team that I took, as we were sitting there, having these conversations, one of the things that we realized we need to do as a district was really to define and recalibrate what our definition of equity means for Colton Joint Unified School District, and in our minds, we think we know what it is but have a conversation or a collective conversation with people is much more powerful than just from an executive cabinet or superintendent’s lens. So, we came back, and we pulled a group of our Future-Ready district leadership team together, and began to have a conversation, and really defined what equity means to Colton Joint Unified School District, and from this definition, at the same time, we were working on building our career pathway capacity in our district, because our state is going through a transition from the old NCLB to the common core standards. And our state was in the process of redefining their accountability model, and a portion of that model included a career pathway component. So, as we were in the process of establishing pathways, enhancing our pathways, building our pathways, we happened to be sitting down as a leadership team, and I started to look at the data of the students that were participating in our second year of implementation, and very quickly discovered that a majority of the students that were in these pathway programs were non-minority students. They were students that were missing were our Latino students and our African-American students. And so, that raised a big question as to why that was happening. So, we started to peel away the layers of the data, and discovered that our African-American or minority students were actually failing math at the seventh and eighth grade level, which did not allow them to get into the career pathways, or in other cases, at A through G pathway at the high schools, because they had to be placed in remedial courses. And that was a big a-ha for us. So, we began to peel away the layers, and work on areas of math for our students, under-representative students. But as we started to work in that area, and work in the pathways, we began to peel away the layers even more, and say if we’re having a problem in our pathways, where else could we possibly be having problems. And what we surprisingly discovered, which it shouldn’t be a surprise. We should have known about this all along. Was that we had a huge discrepancy in opportunities for students in our A through G or our AP advanced placement course work. And so, as we began to peel away the layers there, we quickly discovered that if the student attended a particular high school, they were at academically disadvantaged situation if they were an AP student based on their zip code, based on the location of the district. And you have the numbers up here. You see at Colton High School, where there’s 87 percent social-economically disadvantaged. A student in those schools only had a number of 12 AP courses to take, and a student at Bloomington High School had access to 5 more courses, which was a total of 17. And then, in a more affluent area of our district, at Grand Terrace High School, they had up to 19 available courses. And you can see the numbers of staff. There’s a huge discrepancy between Colton High School and the other two schools, and then obviously, the A through G completion rate, which is not something we’re too proud of. So, this really jumped out at us, and it really is embarrassing, actually, to have to stumble upon this, but we did. We didn’t point fingers at anybody. We took this improvement science process that we’ve learned through this initiative and began to identify possible solutions, and so, as we had continued our conversations with colleagues throughout the country, and through other colleagues in my region, that have participated in this Future-Ready initiative, we discovered some local districts that had did some pretty unique things, to break down access barriers to students at a particular high school. And that was the use of technology in the classroom through a format called telepresence, where a student at one high school, if they didn’t have access to an AP foreign language class, but that class was offered at another high school across the freeway, then they could take that, they could sign up for that class, and take that class remotely. So, we went to go visit those districts that were closeby, had some conversations with their superintendents or executive cabinet. They even took us into the classroom, and we had an opportunity to talk to some of the teachers, some of the classified employees, and we learned a lot about the mistakes that they made in this implementation, and the purchasing of the technology. We learned a lot about the process that they went through in order to get where they’re at. They had a lot of bumps in the road, and they shared that with us, and we’re hoping to avoid those bumps. And so, as a result of those conversations, we’ve established a team specifically with the task of specifically looking at this technology to bring it back to our high schools and provide opportunities for all our kids, regardless of what area you live in, what zip code you live in, to be able to have access to all of our courses throughout the district. But as we had this conve – as we took a team, and we began to have conversations about this process, it didn’t end with the technology. What happened, what we discovered is that the staff that was there wanted to provide opportunities for students outside of the normal duty day for kids to have support. So, in addition to the use of technology, the telepresence process, we talked about establishing or creating some sort of platform that would allow kids, regardless of what high school you attend, to be able to communicate with other kids as an additional support network for any challenges that they may be having in their AP courses, regardless of the content. And then, we also took our – had additional conversations and said, if a student at one high school, Colton High School, has a problem, and is not having success with their network at that school, they should be able to communicate with a student at Bloomington High School, or at Grand Terrace High School. And so, what we decided to do was to take a sample of AP kids across the district, and we took seven from each high school, representative of seven from each high school, and we brought the group that originally had this discussion together with the help of Cisco Customer Experience here in Irvine. Took us, and facilitated a conversation with these students, AP students at the high school, really to validate and to make sure that we were on the same page as the kids. And we just recently had that conversation. We just came back, and we weren’t as close as we thought we were, but we were in the same playing field. So, we are excited, and we’re looking forward to the opportunity to explore new platforms, to explore flexibility in the time of day that students have access to the support, not just after school or before school tutoring. We’re looking forward to continuing the discussions about flexible time for teacher access, and we’re even talking about flexible time for students and school schedules at our high schools to meet the needs of the students and not necessarily the traditional method. The other thing that came out of that is what we’ve done over the past two years, through Future-Ready leadership team was to break down another barrier of students and staff that are at different levels of adoption of this technology, and we began to have some conversations about it, initially offering teachers grants, district-wide grants, a competitive grant where if they met the certain criteria, and that criteria was reflective of the four Cs in areas of the wheels in the Future-Ready gears, if they’ve met that, then we would give them approximately $30,000.00 for their classrooms. ‘Cause we know that everybody cycles through the library at some point in their day, and so, what we decided to do was to create a Future-Ready library grant, and we established a criteria for that, and pushed it out to our school sites, for those that were interested in volunteering and participating. And like Kim had mentioned in her presentation, you want to start small, and then demonstrate some success, and then replicate that. So, we didn’t know what was gonna happen, and we thought, “We’ll issue a $30,000.00 grant, and see where it lands.” And we established a criteria. We had approximately 12 of our elementary sites submit applications, and of those 12, 1 won, and the 1 that won had a library that was a very traditional setting. They had more books in there than they had anything else, computers. And over a period of a summer, we were able to transform that, and there’s just a few pictures here that you see on the slides there. But we were able to transform it into this beautiful makerspace, flexible seating environment opportunity for our kids. And what we discovered and what we stumbled upon was that those teachers that were already there, that embraced this transformation and the use of technology, we’re already using it. And so, it really was a culture-changer for that elementary school. Fast-forward to this year, that grant was so popular, we have by unanimous comment, we have been asked by our sites, not just our elementary sites, but our secondary sites, to please offer another grant. So, this year, we offered $30,000.00 for our elementary sites and $40,000.00 for a secondary site, and the presentations, as they facilitated and they submitted them, are ten times better than the initial grant. And we are just so pleased, and so excited of the excitement that the sites and the students are giving it. At the secondary level, the students even got involved, and started doing video productions of why their site was the site that needed the library. Needless to say, at our last community cabinet meeting, we identified the winners of two of these grants, and they were extremely excited. This is another attempt for us to break down that equity barrier, and the logic, and the rationale behind that is because every student will cycle through that facility. If it’s just a classroom, only those students benefit. If it’s a library, everybody gets to experience that; not just kids, but parents, too. Dr. Avril Goggans: And I’m glad to hear that the Future-Ready grant has gotten so much momentum, because I’m sure that you will be able to reach much more students that way, since the library is such a common place for learning. I wanna shift now into some questions about each of your progress and each of your journey so far, and encourage our audience to use #FutureReady as a way to submit their own questions on Twitter. One question I wanna start with is why was it so important for your district to make equity a priority? Kim Buryanek: I guess in Sioux City, every student is important, and just making sure that every student, no matter what part of the city they live in just have the same educational opportunities, and were provided the same foundational pieces. You would never provide a different textbook to a child in a poor community, a poor school, than a wealthier way. So, it’s the same way with the technology, as well, and we just wanted to level the playing field. And we really do believe that technology does have the potential of being an equalizer, despite poverty. So, it’s really a tool that we’re leveraging to try to reduce the achievement gaps. Dr. Avril Goggans: What about you, Jerry? Why was it important for your district to focus on equity? Jerry Almendarez: Well, I’d like to think it’s always been important. I think it really jumped out at us when we began to expand our career pathways. And having the data jump out at us like it did, and having the reality of our non-minority students in remedial courses, and really in non-A through G tracks, and in non-career tracks, really was an eye-opener for us. But we’re always a work in progress, and the career pathway is one area, but also the A through G is another. And then, through literacy, our district initiative literacy, the library – it’s important for all kids. Dr. Avril Goggans: Exactly. And keeping in mind with the theme that you just brought up, which is the use of data, I wanted to ask Kim to talk a little bit about how data informed your professional learning initiatives with the Future-Ready cohort. How did you use data to identify teachers who participate, as well as teachers from specific schools in the district? Kim Buryanek: We started with a competitive application, and teacher teams could come together and apply, submit an application. But we really, as it rolled out, we kept track of who was coming in. We have three distinct parts of town, and we wanted to make sure there was representation from all parts of town, as well as all levels of elementary, middle school, and high school. We have more elementary buildings than secondary buildings, so there appears to be a larger concentration of elementary buildings coming on board. But we’re just keeping track of things, and what we’re measuring then, or asking, if people come into that second year, that they’re giving us data regarding their success, and what they see as a difference. And we have classrooms that are achieving at a higher level in literacy, because of their involvement with the Future-Ready cohort. We can track attendance, data-improved attendance, and the decrease in discipline referrals, based out of classrooms coming out of the Future-Ready programs. Dr. Avril Goggans: That’s great. And Jerry, how has your use of data changed, now that you’ve gotten such a huge eye-opener with the data you use to identify the AP course and the gaps in AP courses among high school students? How are you continuing to use data moving forward? Jerry Almendarez: So, as a result of identifying the fact that if I was a student, and by the way, I graduated from Colton High School, which is that high school that had the most deficiencies. But as a result of identifying Colton High School as being – if a student attends Colton High School, their opportunities are much more limited than if they attend the other high schools. And what we discovered, that it was a systemic issue from the elementary, the middle school to the high school. So, we had one particular area of the district that was our lowest performing, and that just happened to Colton Regional. Our Grand Terrace Elementary and middle schools were at a much higher rate of performance. Our Bloomington, even though it was a high socio-economically disadvantaged community, it was still outperforming our Colton High School cohort. So, we were able to do equity audits, and really pinpoint our focus on the highest need of the district, and that was the Colton Area. And so, we did equity audits at our middle school, because that’s where we discovered the huge failure rate, and we began to do some equity audits at our elementary feeder schools to really start to discover why these kids were experiencing the challenges that they were experiencing. Things as to why certain kids placed in particular staffs’ classrooms. What was the pass and failure rate of a student in a language arts department? Things like that. Not really focusing on the adult or the teacher, or the instructional aide. It was more of the program. We weren’t looking to blame anybody. We just wanted to know the reason why, and then provide the support and the resources to rest those ________. And we’ve had some pretty significant progress in the past 2 1/2 years that we’ve been doing this work, and it was a direct result of the conversations that we’ve had through this Future-Ready initiative. Dr. Avril Goggans: Well, thank you both for your time, for sharing your stories, and then also for participating in the program. For those of you watching, you can certainly learn more about ______ Colton Joint Unified in California and the Sioux City Community Schools by reading the case studies that were developed as a part of the digital equity program. And the ______ you can reach us at FutureReady.org for any follow-up information you’d like to learn about the program and any of its participants. As we end today, I definitely want to thank all 12 school districts who participated in the digital equity program. I wanna thank AT&T’s Aspire program for sponsoring the program, and continuing to support our focus on equity in Future-Ready. Again, keep those conversations going, and use the hashtag, #FutureReady to _____ and share questions with us that you have about the different initiatives, and I also definitely want to thank Kim Buryanek and Jerry Almendarez for your time today. I appreciate you both, and I look forward to continuing to build ________. Dr. Avril Goggans: Thank you.